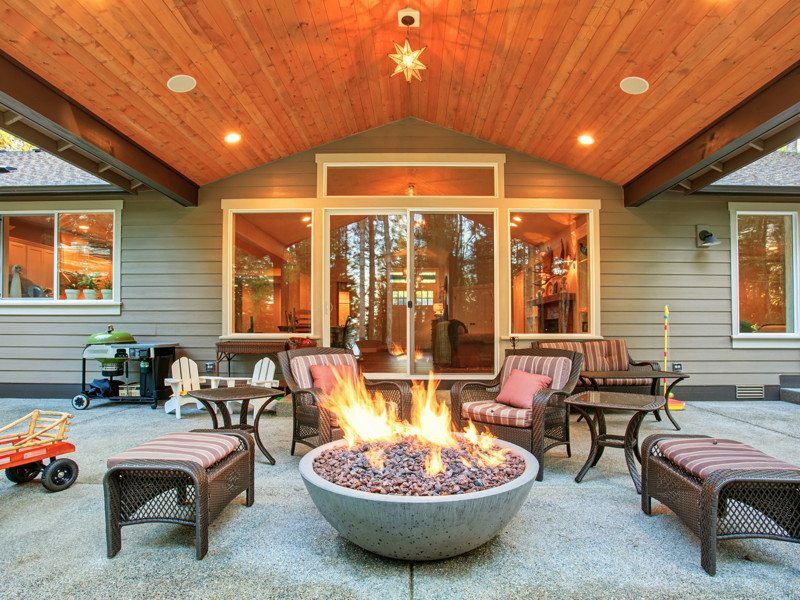 Types of Fire Pits: Which Is Right For You? We may have just gotten through a cold snap here in Central Florida, but there is sure to be another right around the corner. 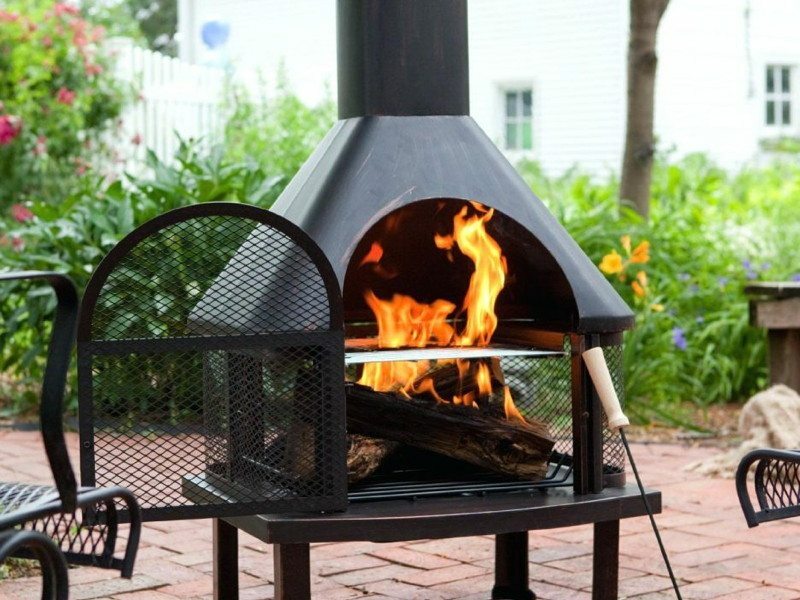 If you are looking to add a new fire pit or replace an old one, what should you consider before just heading out to a big box store or ordering online? There are so many different types of fire pits and options to consider, it can be overwhelming. The warmth of the fire may tempt you to jump at what is readily available, but you will be better served if you think through some simple points beforehand. We all think of that cozy campfire when we think of adding a space for a fire pit to our outdoor area. However, there are many different uses to consider when purchasing or building a fire pit. The first thing to ask when considering types of fire pits, is what purpose it will serve for you and your outdoor space? You may want something simple for warmth and light to a patio to enjoy during the cold snaps. You may want a more intimate and quaint sitting area for conversation a bit further into your yard? You may also consider a fire pit that can dual as a grill for cooking or have a table top that can be used in the warmer seasons. Some fire pits can also become a focal point of beautiful design and chimney work for wonderful and functional entertaining. So you want to consider what you will likely use it for the most often and what type of setting or mood you want for your outdoor spaces. The second decision to make when considering types of fire pits is that of location. Of course, this is tied to your decision of its purpose, but you may have many choices of location in your outdoor space depending on your use. The most important thing is to first be self-aware in choosing a location and arm your self with some knowledge in regard to your local City and County guidelines and what types of fire pits are permitted. Also, consider the exposure to smoke when choosing a location. The EPA has some great information in their Burn Wise program. Some other things to take in mind when locating your fire pit is taking care not to have an open flame too close to exterior walls of your home. As well, if you have a fire pit under a covered patio, take extra precaution and choose a small enough fire pit that it will not pose a risk of fire. 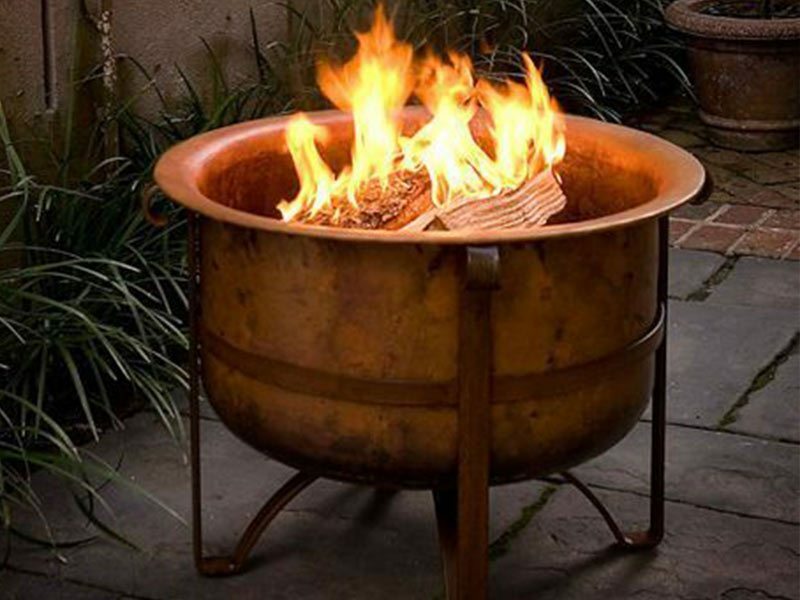 There are some great, small tabletop fire pits that can work great in these areas. 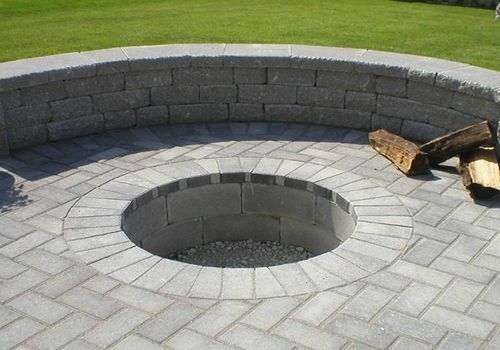 Once you have decided what your fire pit’s purpose will be and where it will be located, the next step in your decision process is to decide what type of fire pit you want in regard to material. There are fire pits made using many different types of materials. The first thing to consider for the type will be whether or not your fire pit will be portable. If so, there are many varieties to choose from. 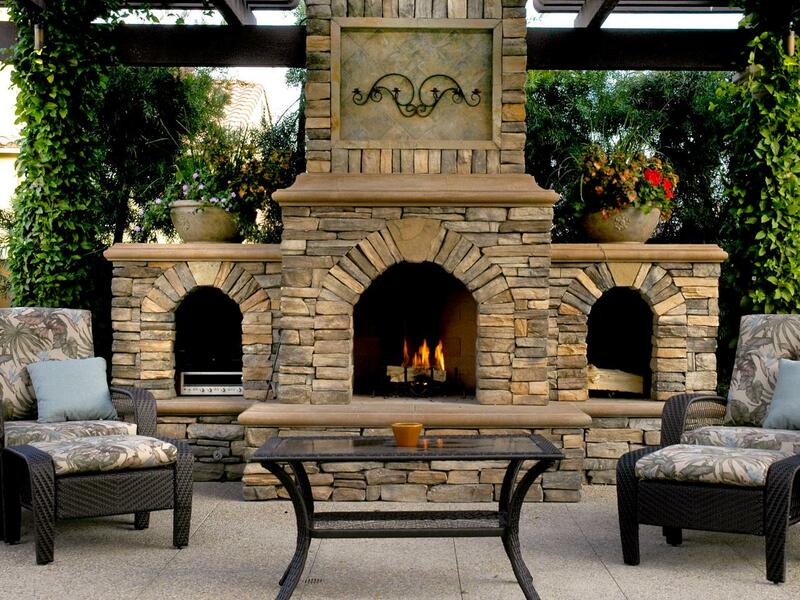 If you decide to construct a permanent fire pit somewhere in your space, you will have to choose from sturdy materials such as block or stone, but these permanent fixtures can become a beautiful addition to your home’s overall decor. Below are some great examples of very different types of fire pits in a variety of materials. Steel makes a great option because it can be used in many different designs as it is easy to mold. It is prone to rust, however, so be sure to look for powder-coated options. Stainless Steel makes a more lightweight option and will hold up to weather while the price tag may be a little higher. Copper is a very durable material that will develop a nice patina over time from flames but these are typically an expensive option. Cast Iron is a wonderful option for fire pits because of its many advantages that include lightweight, heat conduction and being great for cooking too. 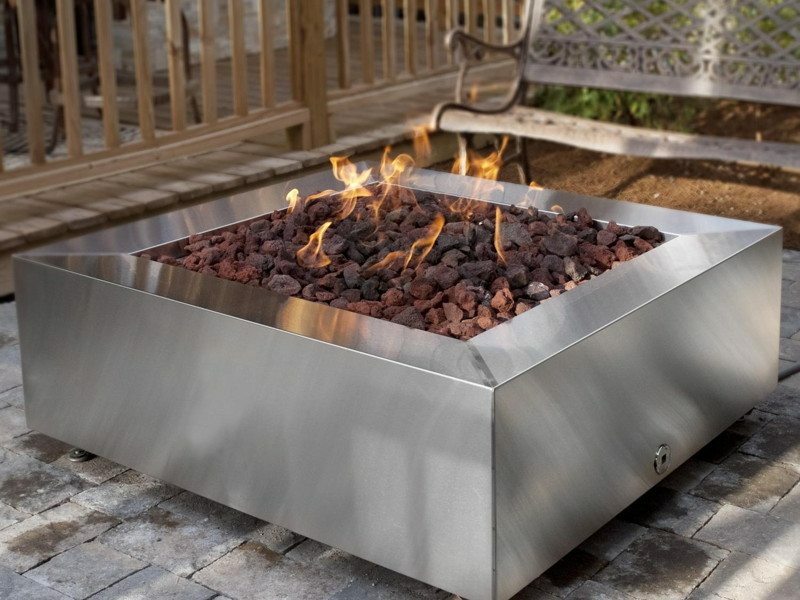 Aluminum is a very common type of fire pit as it is a very affordable yet very durable option for outdoors. Even when installing in-ground, you can DIY or use a hardscape contractor to install something creative and unique using stone or block that will add a wonderful feature to your outdoor space. 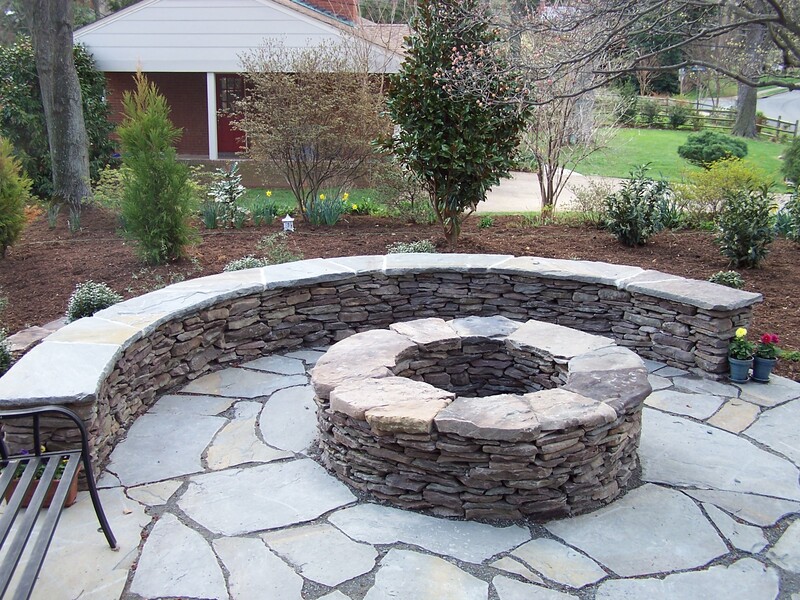 You can install rock, stone, or even a fire ring or in-ground design that will make your fire pit the one everyone wants to gather around. Once you have decided on your fire pit, selected a location and type, the next stage of this process of choice is deciding what type of fuel you want to burn. While wood creates that crackle and smoke that some of us love, propane or natural gas can provide for much cleaner burning and minimal clean up and maintenance. Charcoal is also an option that can create ease of use, it can also be very messy and require constant cleaning and maintenance. 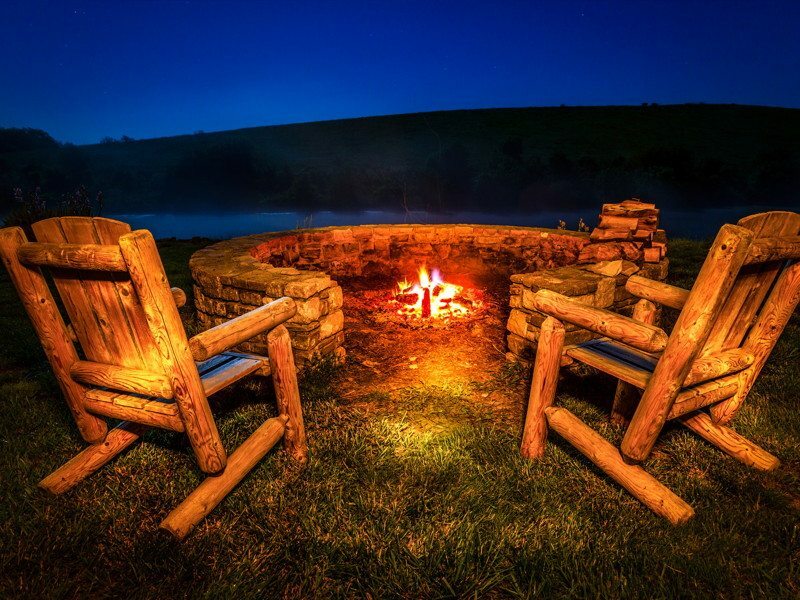 Your purpose will direct your fuel choice to some degree but overall, you want to go with the option that will give you the most enjoyment out of your fire pit. Lastly, consider what accessories you might want to go along with your fire pit. 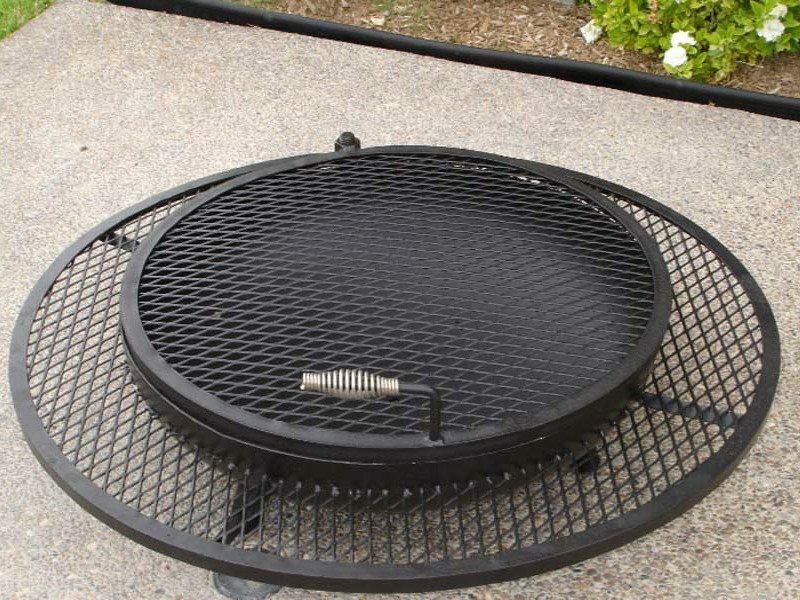 There are great tool sets for fire pits as well as grates and rotisserie options for cooking. There are also larger accessories such as removable tabletops and covers. Hopefully our suggestions here will help you through your journey of choosing what type of fire pit is right for you and you will be happy with the fire pit you choose for years to come. Using various types of rock in your Orlando area landscaping will set you apart and add a touch of sophistication, art and elegance to your outside areas. The addition of rock into your landscaping can provide texture, color, vertical features and focal points. It is also very versatile, low maintenance and long lasting. Depending on your style and the area you are working with, you can use rock as mulch, for useful pathways, as a border for beds or you can add a creative touch with a rock garden, a pond with a rock border or create a beautiful focal point boulder centerpiece in your yard. 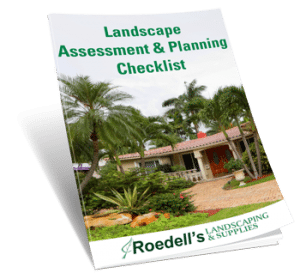 Once you decide your projects, you will need to consider what type of landscape rock you want as well as what type will work best for your intended use. 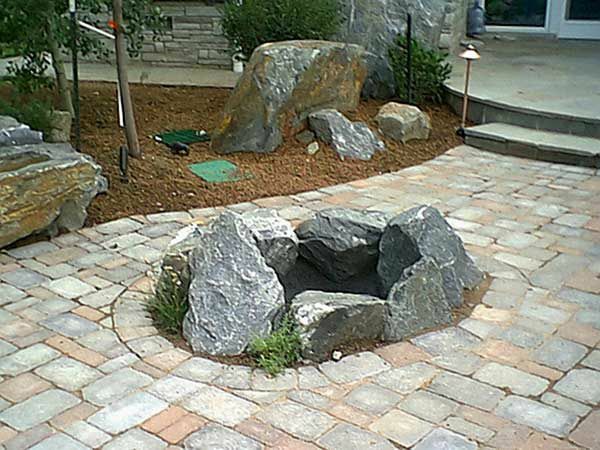 Choosing the right rock is an important factor in setting the tone for the rest of your landscaping or garden areas. Red Lava Rock will add a pop of color and perfectly complement arid style gardens that highlight cactus and other dessert plants. For creating borders, you can use a flagstone or a river rock large enough to prevent erosion of soil into other areas. Flagstone works great for pond borders because it can be layered and its irregular shape will give your pond a more natural feel hiding the prefabricated black pond liners. When considering rock for a pathway, flat flagstones or river rock will be your best option. Other types of rock can track sand/silt such as decomposed granite. Although Pea Gravel is great for gaps in between flagstone, as a path it is very hard to push lawn equipment or anything on wheels through. Crushed Gravel can be very painful to bare feet while Pea Gravel is a great option for a walking path. Just remember when shopping for Orlando area Landscape Rock, to think if you’d want to walk on it sans shoes! 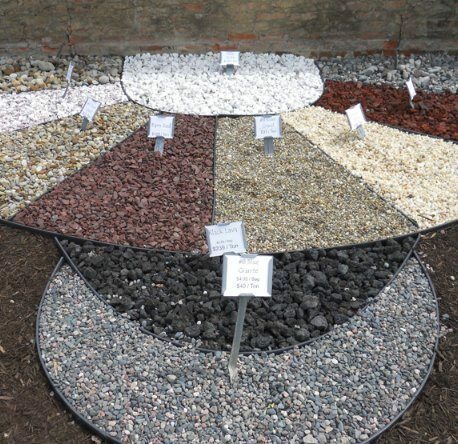 For using rock as a mulch, be aware that while it will be a more expensive option up front, it will pay off in the long run. While wood mulches are typically replaced every season or so, rock will last the lifetime of your garden. As well, you can choose complementary colors of rock in different areas of your landscaping to provide contrast, warm or to brighten up dark shady areas. For rock gardens or a focal point, you will want to consider larger boulders. For a rock garden, choose varying sizes of smaller boulders and plant low-lying plants in between the gaps of the rocks. For a focal point, pick a large boulder or boulders and surround with varying sizes of River Rock. Rock is a more expensive investment to your landscaping, but it is worth the investment if you are looking to save time with weeding, replacing mulch, stylizing your space and it will last indefinitely. The downside to this is that should you choose to get rid of your rock and go with another material, it will be a difficult task, so make sure you plan on enjoying this design for a while. Keep in mind that adding a nice landscape alone will increase your home’s value. The addition of rock will find you higher returns. As well, as a tip to homeowners looking for curb appeal, add a pathway. It may seem strange, but adding pathways that divide areas make your yard look bigger. Of course, keep in ratio to the overall green space and don’t go overboard. You can see what types of rock we carry and utilize our free material calculator by visiting our Shop page. Rock on!